HPU MAT 2019 Application Form has been Released Now. 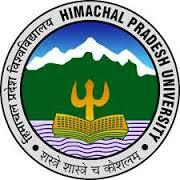 Himachal Pradesh University Business School (HPUBS) will conduct the Himachal Pradesh University Management Aptitude Test (HPU-MAT). All the information will be passed via a handbook which would be accessible by candidates through the official website at www.hpubsshimla.org Any Graduate in any discipline from a recognized university with 50% marks (45% for SC/ ST) will be considered eligible to apply. The exam will be conducted in offline mode. It is the exam held on 25th May 2019. 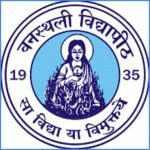 Candidates can check HPU-MAT 2019 Application dates, Procedure, Eligibility criteria, Exam pattern, syllabus, Admit card, Result, examination centers, etc. HPU MAT 2019 Application Form has been Released Now. Click Here to Application Details. The following dates that we are providing HPU-MAT 2019 Dates and therefore are subject to change. 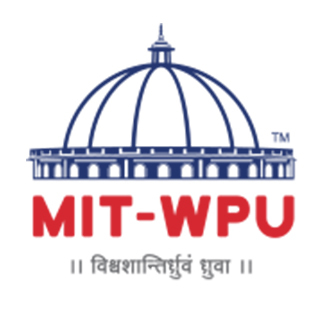 The HPU MAT 2019 Application Form has been Released and the Last Date Apply to 10th May 2019. Applications will be invited online for HP University Management Aptitude Test (HPU-MAT) 2019 to MBA admission for the Batch 2019-21. Complete all the entries such as personal details, educational details, communication details, should be correct. After completion, fees should be paid as per given option. Finally, take a print of the application form. Payment option- Online-HDFC & Himachal Pradesh state Cooperative Bank Debit Card, Credit and Internet Banking facility will be available. 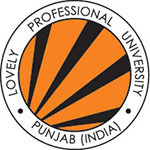 Admission to MBA programme will be based on HPU-MAT, Academic weightage, Group Discussion, and Personal Interview. Final year candidates– candidates in their final year of the degree qualification may also be eligible to apply. Subject- English Comprehension & Language, Numerical Ability & Data Interpretation, General Intelligence & Critical Reasoning, and General Knowledge & Business Awareness. As already indicated, the entrance exam will have objective type questions from the following areas- English Comprehension & Language, Numerical Ability & Data Interpretation, General Intelligence & Critical Reasoning, and General Knowledge & Business Awareness. Candidates are therefore required to cover topics such as- Reading comprehension, error correction, current affairs, blood relation, directional sense tests, series and number arrangement, time and clock, business world, economy, etc. Candidates should also prepare topics like- fill in the blanks, Idioms, phrases, one-word substitution, error spotting, GK, Science, Simplification, Interest, Percentage, Average, Ratio and Proportion, Profit and loss, number system, Algebra, Geometry, Analogy, Puzzle, Matrix, Venn diagram, etc. You will be required to enter your User id and Password. You may click the Forgot User id or Password, in case you have forgotten any. The result will be Declaring on 1st June 2019. Declaration of Final Result for the Subsidized Seats of on 13th July 2019. Candidates will then be called for Group Discussion and Interview. Marks out of 10 will be awarded in each session. Candidates must check the admit card when issued for the exact examination venue address. The exam can be conducted in the following cities. The number of cities may increase or decrease as per application received. For any other queries about HPU MAT 2019, you can leave your queries below in the comment box.